There’s an ongoing battle between the people who specialise in paid search, those who do social media marketing, and those who do social media ‘the free-way’. The companies, agencies and professionals who specialise in these fields are essentially competing for the same budget. And they all want people to think that their channels or platforms are the most valuable ones and most deserving of a reader’s time. It’s a sad state of affairs – because an integrated campaign would actually deliver better results for everyone involved. The economies of scale principle applies here, and communication matters too. Let’s consider SEO vs Social – they might seem, on the surface, to be very different things – and certainly the companies that offer one service but not the other would like us to believe that. 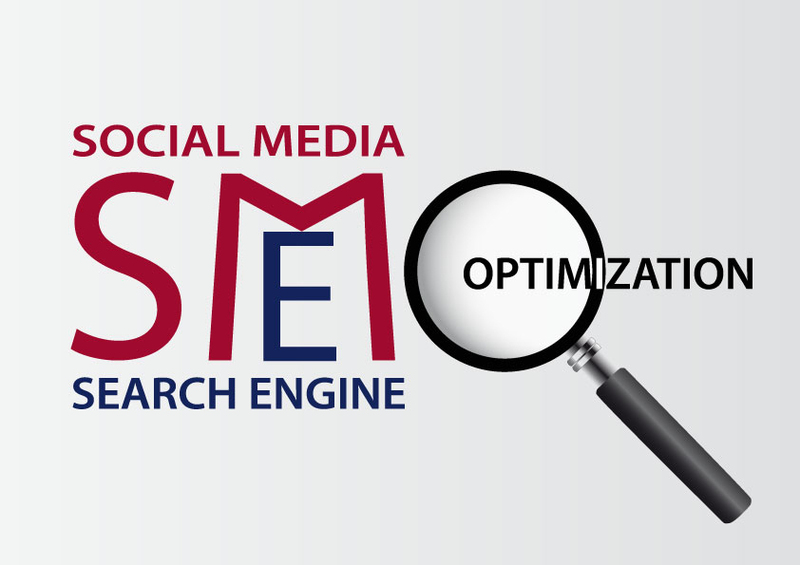 They’re actually quite similar in a lot of ways, and this means that there are opportunities to have them work together quite efficiently – use both, and you’ll find that there are SEO benefits to a good social media campaign and that social media can be a powerful outreach and analytics platform too. If you don’t know much about marketing, then getting started with Social Media can be a little intimidating – even picking out your audience demographics seems like a huge task. For years, the mantra has been ‘content is king’ – and while it’s true that people are sick of hearing those specific words, SEO and Content Marketing go hand in hand, and content creation is something that everyone should be investing in. 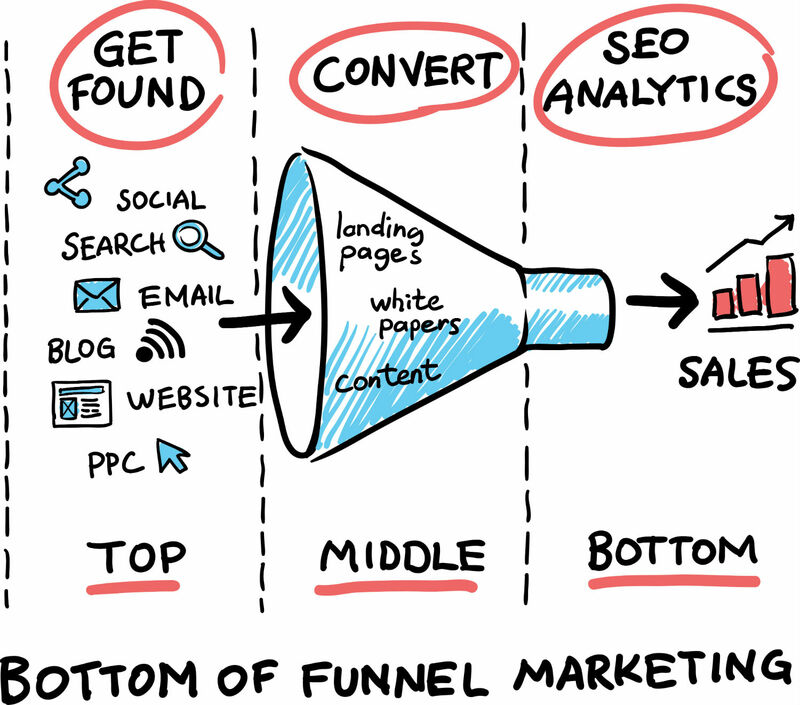 If you know who your ideal buyers are, you have good inbound funnels set up, and you’ve done your research, you should be in a good position to grow your business using online marketing. Research your keywords, look at the content opportunities that surround them, and let that knowledge guide your strategy. Get a good web developer with an understanding of marketing to optimise your site so that you know that each high quality article is performing to its best, and that you’re not losing visitors to poor performance or a bad layout. Those steps are the cornerstone of a good online marketing campaign – but have you considered integrating other marketing channels as well? Email is one of the most obvious and most easy-access ways of marketing, but what about social media? You probably have Facebook and Twitter. Are you on Instagram or Pinterest? All of these platforms have value, although some audiences respond better to one platform over another. Content creation typically focuses on the search engines – because of the user-intent that is demonstrated by heading to Google or Bing and actively searching – but, there is value to the people who stumble upon a page as well. To convert a passer-by into a customer you need to expose them to your message several times, and social media is a good way of doing that. Ideally, you want as many eyeballs as possible on your content – and what better way to get that than through social media? SEO is a good way to bring people back up to date, and it is a good way of pushing content to a targeted demographic. The first contact might not produce conversions but the second or third should. Your advertising spend will be an additional expense – but the cost per contact is quite low and you can track the conversion rate to get a clear idea of how the campaign is performing. Inbound marketing is usually more efficient if the visitor gets multiple ‘touches’ during their conversion journey – so you must have people coming back time and time again. Sometimes, you might get someone who is so enthusiastic they will buy on first contact, but usually people need time to think, and you want to use a low friction call to action each time – ‘like our page’ takes just one click. The call to ‘subscribe to our email list’ or ‘sign up for updates’ is easy to persuade someone to do after a few visits. Then, and only then, can you start asking people to open their wallets and expect to get a positive response. Remarketing is an effective way of doing this. If someone has been to your site, show them a different ad. If someone has abandoned a shopping cart, offer them a discount code to see if that will get them to open up their wallet. A first-time customer might actually be willing to pay if you give them something to sweeten the deal. There will always be some people who will just read your content, but never open their wallets, but you want to keep those people to a minimum. This means you need a clear sales funnel. Make sure that all paths lead to a good sales pitch in the end. Decide what your conversions are – will you be happy with a customer that subscribes to your email list, if they then refer friends that do decide to buy? That’s a useful customer – they may just be a brand advocate, but at least they’re opening their wallets. A decade ago, link building was one of the most important parts of marketing. It’s less important now than it once was, because the search engines are cracking down on paid links – but it’s still a useful source of traffic and it’s good for SEO. Getting people to share, link and comment will drive engagement across the web. Whatever strategies you’re using, though, you need to quantify the results. That means using analytics tools such as Google Analytics, SEMrush, Majestic, Moz and the Search Console. Facebook Pixel is a powerful tool for tracking results as well – make use of it, and all the other tools, to put together as detailed a picture as you can of your buyers. Many of the tools are platform-agnostic and just show what’s happening on your site – but if you’re using social media you’ll want to use the marketing and analytics tools that come with those platforms. With all of the social media platforms, you can get some idea of engagement and even demographics, but what you really want to know is who is clicking on your content. You can get a lot of information out of the platforms by using Google Analytics. If your clickthrough rate is low then you should look at the content itself, the headlines and images you use, the time of day you post, and your calls to action. Are you really driving interest in your content? Are you telling users why they should be paying attention to your content. If not, then start changing your strategy. Don’t beat yourself up if you’re just getting started and you’re not seeing the results that you want. It takes time to build up a presence in the search engines and it takes time to build up a following online as well. Social media advertising will get you paid views that will help you to gain traction, but conversion rate optimisation is an important long-term goal. Be patient and keep working to build an ideal audience – which is a mixture of organic viewers and those that you are paying for. The organic traffic will keep coming even if you stop paying – as long as you keep working on growing your audience. Before you start marketing, think about your long term strategy. Are you sure about the message that you want to send? Start doing one thing at a time until you have a sustainable and efficient marketing plan. Populate your blog, build a few links, then continue with an ongoing link building strategy while at the same time focusing on growing the other parts of your business – after a few months you should know that you schedule social media posts on a Friday to go out over the week, you build links on a Tuesday, write content on a Wednesday, and focus on the other parts of your business throughout the week. Success requires a steady and sustained effort.